Dunes Motel in Bend offers family-friendly, pet-friendly accommodations in a clean, safe environment with easy access to all you have planned for your Central Oregon visit. Awide range of room configurations are available, from luxurious king suites with spa bath, to more economical queen rooms, to double queen rooms for those with families or just wanting a little extra space. Amenities include free WiFi throughout the property, as well as in-room toiletries, hairdryer, TV with cable, and microwave. A 24-hour front desk at the property is staffed by people who know the area well and can point you in the direction of whatever adventure you’d like to find. 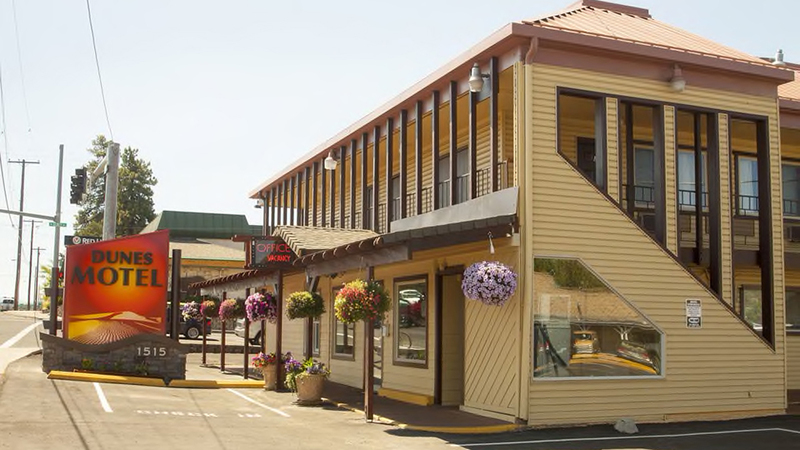 At the Dunes Motel, you’re just a few minutes from the Bend Factory Outlets, the Old Mill District, and downtown Bend. And, Mt. Bachelor beckons year-round, with lakes, biking, and hiking in the summer and snow play, snowshoeing, and world-class skiing just 19 miles away.